One of the first things you’ll need to think about before you move to Sweden from the UK is where you want to live. Where are the best cities in Sweden for British expats? Contrary to popular belief, Stockholm is not the beginning, middle and end of life in Sweden (although we’ll grant that it’s where most expats can be found). 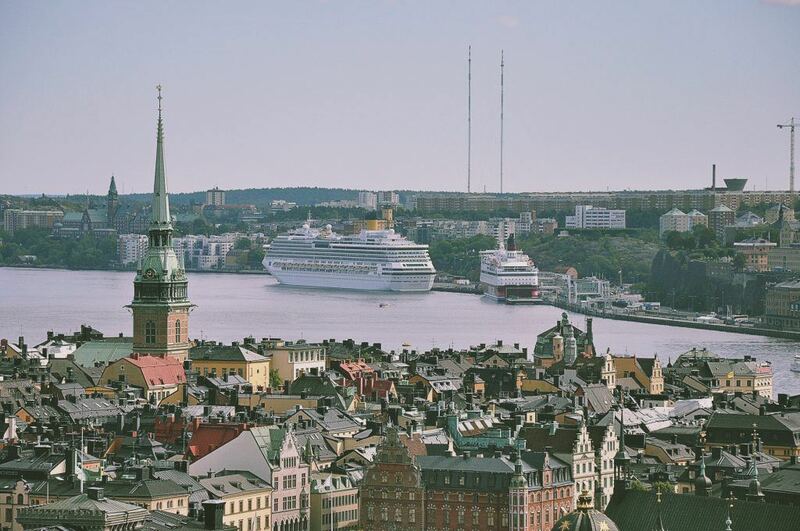 Sweden has a wide array of beautiful cities that will appeal to Brits looking to escape the 9-5 of life in England, but each very much enjoys its own particular character and benefits. Most people congregate in the south of the country — the further north you venture, the more remote and colder the cities become. Let’s have a look at the best cities in Sweden for living and working. Stockholm: the best city in Sweden for British expats? No ‘best Swedish cities’ list would be complete without mention of the incredible capital of the land, Stockholm. Stockholm is really the place to be: it’s the largest city in Scandinavia and has a culture and character like nowhere else on earth. One of its most charming features is the fact that its positioned across 14 islands — an incredible bonus for those that like living near the water. It touches both Lake Mälaren and the Baltic Sea. Stockholm has a rich cultural pedigree and is truly a cosmopolitan city. It’s home to some of Europe’s best universities, a host of museums and a thriving job market. This is probably the best place in Sweden to find work as an expat. For those working remotely, the incredible fibre optic network guarantees excellent internet access throughout the city. Public transport is the envy of many other global capitals with the Metro one of the most beautifully decorated public services we can think of. The one downfall of Stockholm as a city is that it’s pretty expensive, in line with many European capitals. Brits moving from London will likely not see too much of a difference, but if you’re moving from a cheaper area of the UK, you might feel the pinch. One of the most attractive aspects of Solna is the low corporate tax rates, which has attracted a wide haul of industries, both established and start-ups, to the scene. The job market here is impressive considering Stockholm is on your doorstep as well. It’s culturally much more subdued than the nearby capital with a more suburban feel, but there are still some beautiful attractions in Solna. Parks abound, as well as the Ulriksdal Palace, Haga Royal Castle, Angso National Park and Karlberg Palace. Staying down south is the popular city of Malmø, which has gradually emerged to position itself as the young, hip alternative to Stockholm. It’s renowned for being incredibly welcoming to international visitors and expats, proud of its diverse community, and actively mobile in promoting a thriving culture. Just 30-minutes from Copenhagen, Malmø is a hub for students, startups and tech companies, and has a younger feel than Stockholm. As well as the usual parks, buildings and gardens to gawp at, Malmø is celebrated for its many outdoors events and festivals. Umeå is the largest community in Northern Sweden that boasts a university, a boatload of culture and a beautiful position on an inlet of the Gulf of Bothnia and the Ume River. It’s seen as the regional centre of Northern Sweden and attracts a wide variety of locals, students and expats to its walls. Umeå is undoubtedly a cracking place to get involved with winter sports, including skiing and ice hockey, and there’s just generally a great sporting tradition here. There’s also an annual jazz festival, film and music festivals, and a number of museums. It was actually elected a European Cultural Capital in 2014. One thing to bear in mind about Umeå is that it’s pretty cold. In winter, it’s seriously cold. The all-time record low for February is a nippy -38.2°C. Daylight hours are also limited. The summer does see warm temperatures and longer days, however. Venturing back down south, Gothenburg is our final best city in Sweden. Just north of Malmø, it again attracts a young and diverse crowd and is very popular with British and other European expats. We love Gothenburg as it enjoys a beautiful compromise between city life, plenty of green space and the wonderful West Swedish coast. It’s the second largest city after Stockholm, has a brilliant tram line servicing it, two universities and a thriving job market. Culture is on point in Gothenburg: it’s home to Scandinavia’s largest film festival, as well as an array of other art, music and cultural events. There’s some really spectacular architecture here too. Just like Malmø, it has a noticeable foreign-born population of just under 20% — great news for Brits moving to Sweden from the UK. Which is your favorite city in Sweden?